Just north of Cecil Junction in northwest Ogden, Utah on the Union Pacific's Oregon Short Line is this junction with the branch to the Defense Depot Ogden Utah, a United States military facility originally established just prior to U.S. involvement in World War II. In 1997 it will be closed and the name changed to Defence Depot Hill Utah Ogden Site. 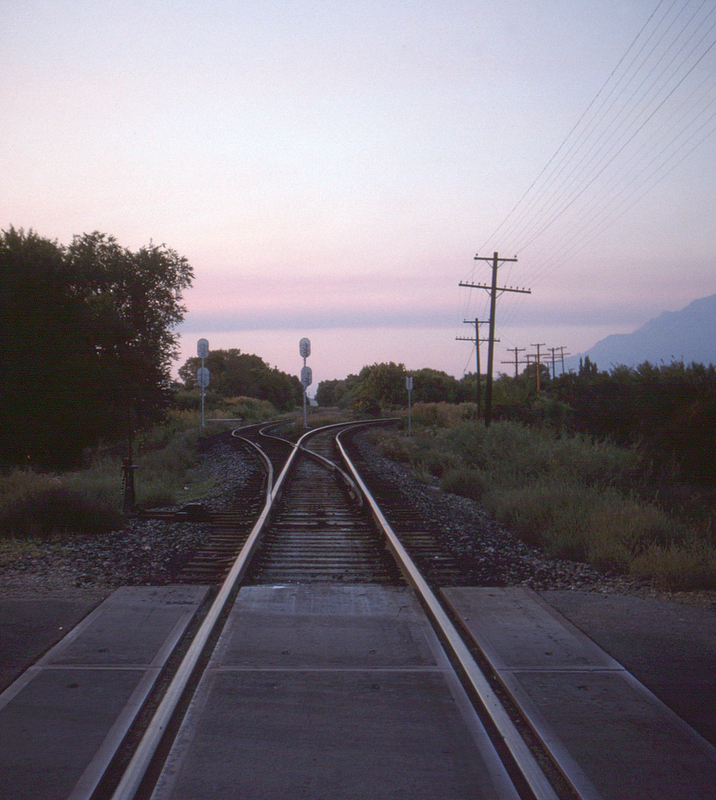 The mainline to Pocatello and Montana is at right. This view is looking north from Ogden's 17th Street grade crossing.